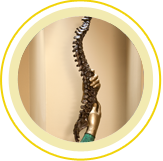 Comprehensive, multidisciplinary treatment for all diseases, conditions and injuries of the spine. Our fellowship-trained physicians are spine specialists, providing comprehensive, multidisciplinary treatment for all diseases, conditions and injuries of the spine. We emphasize nonsurgical interventions, striving to eliminate patients’ pain and restore their mobility through conservative methods. Our surgeons work closely with our physiatrist, who helps patients overcome pain and regain function through nonsurgical medical treatments, including therapies, medications, and interventional procedures. We are able to treat 90 percent of our patients without surgery. 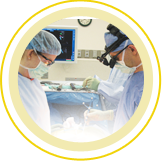 When surgery is needed, we use minimally invasive techniques and state-of-the-art equipment, including innovations that our medical staff helped develop and pioneer on the national level. With their extensive training and many years of experience, our doctors often can help patients who have been unable to find relief for complex spinal problems.